The Rabbinic Chavurah is a new model for synagogue leadership with this principle at its core: that our community will flourish by the wisdom(s) of a plurality of voices rather than one. We believe that a multiplicity in perspective gives rise to the abundance of discourse and more holistic learning. Coordinated by our Core Rabbi, Zach Fredman, the Rabbinic Chavurah brings rabbis and wisdom teachers from diverse fields with various arena of expertise to share their approach within the vision of The New Shul. Rabbi Zach Fredman is at the cutting edge of Jewish meaning-making and creativity. 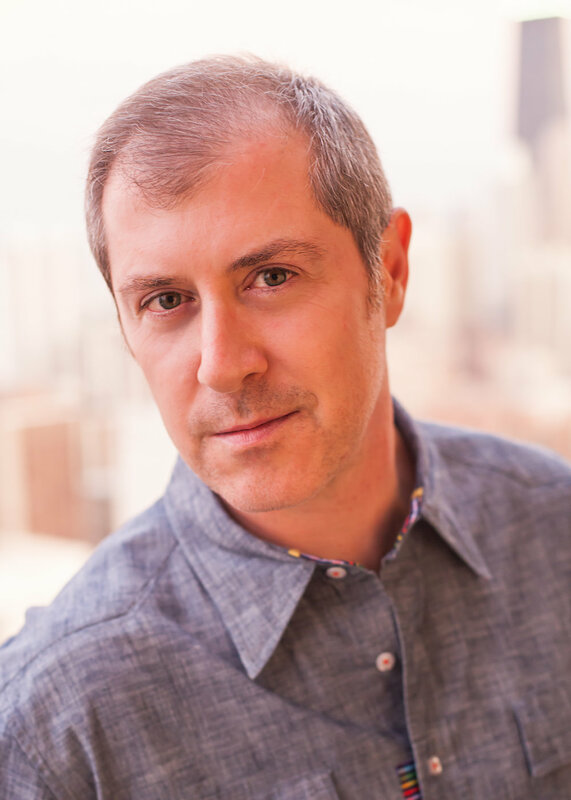 He serves as rabbi and music director at the New Shul, a downtown community renowned for its dynamic programming, which seeks to envision how ancient and modern wisdoms can create a place for thriving Jewish investigation and congregation. In 2011 Zach founded the Epichorus – an ensemble playing Middle Eastern roots music. Sounds from 1960’s Egypt, religious songs from Syrian Jews, Sufi trances and classical Arabic standards all find their way together. The Epichorus has carved a unique niche in the music of the East, and is joined now by Bollywood superstar, Priya Darshini. The Epichorus released their second studio album, NAJARA, with National Sawdust’s Sawdust Tracks. Rabbi Zach would be pleased to visit with you over coffee! Rabbi James Stone Goodman serves Congregation Neve Shalom in St. Louis, Missouri. He is from Detroit, Michigan. He is a writer and musician who integrates story, poetry, and music in an incantational performance art form, producing seven CDs to date, the most recent Book of Healing. He founded One Life – Whole World Project, serving the underserved: addictions outreach, prison project, and mental illness support. He recently finished an M.F.A. in creative writing from the University of Missouri – St. Louis. His work can be sampled through two websites: www.stonegoodman.com and www.neveshalom.org. Mama, teacher, speaker, and co-author of Art of Attention, Elena has taught yoga since 1999. After graduating from Cornell University in 1992 with a design degree, she worked as a textile and apparel designer for 6 years, and has been studying with master yoga teachers since 1997. Influenced by several traditions, Elena offers yoga and meditation as a way to approach our world with realistic reverence and gratitude. Her classes are a masterful, candid blend of artful alignment and attention cues for your body, mind and heart. As the Executive Producer of On Meditation, Elena is curating a film project about the relevance and benefits of meditation. She’s contributed to Yoga Journal, Yoga International, Huffington Post, MindBodyGreen, Well and Good NYC, Positively Positive, The Chalkboard Mag, TheDailyLove, and Elephant Journal, and current classes are available on YogaGlo.com. Currently the Howard M. Holtzmann Jewish Chaplain, Emeritus, at Yale University, James Ponet served as director of Yale Hillel and Jewish Chaplain at Yale from September 1981 until July 2015. He earned his undergraduate degree from Yale in Religious Studies and his master’s and doctoral degrees from Hebrew Union College, where he was ordained in 1973. After his ordination, Rabbi Ponet and his wife Elana lived and worked in Israel for eight years during which time the couple had three children. Ponet taught at the Pardes Institute of Jewish Studies, the Shalom Hartman Institute, pursued doctoral work in medieval Jewish philosophy at Hebrew University and served in the IDF Artillery. Rabbi Ponet currently teaches a course entitled “The Book of Job and Injustice” at Yale Law School. From the beginning, Ellen Gould's mission as Musical Director/Cantor has been to make the New Shul a singing community. "We don't have a choir, we are the choir." Says Ellen, "I don’t need the attention of a solo singer –- I’ve been a performing professional for most of my life. My goal is to share with the community the joy of full-throated and full-hearted expression of the spirit that can only come through the use of its own voice." In the world of theater, Ellen is best known for her double Emmy award-winning musical "Bubbe Meises, Bubbe Stories." Her many other performance credits include leading roles in productions from Lincoln Center to The Public Theatre, as well as featured roles on HBO, PBS-TV, and NPR. Her writing credits include "Confessions Of A Reformed Romantic," "Seeing Stars," "The Glass House," and "Blessed is the Match" -- all of which received New York productions. Zivar is an artist and mama. She began her career in advertising and then as a development director in the non-profit sector before engaging with her own creativity. Zivar traveled extensively through South and Central America, lived in Europe and San Francisco, and somehow ended up back in Brooklyn. Now, joyfully settled with Rabbi Zach and Rumi, you may find her engaged with questions of story, intimacy, and belonging in between crayons and tea time with Elmo. Zivar's photographs have been exhibited in New York, San Francisco, Berlin and Tel Aviv. She is also a published writer and founder of the New Moon Project. She is devoted to women's work and leading our community in fostering the sacred feminine. Learn more about Zivar and view her work by visiting www.zivaramrami.com. We are thrilled to have Imam Shair share his spirit wisdom and stories with us. Imam Shair is a graduate of Islamic Studies and Comparative Theology from Madrasa Shahidayn in New York and the Columbia University Hospital School of Nursing. He received his Imamical Seal from the State of New York and completed his graduate studies in Interdisciplinary Studies and Teaching Spanish as a Foreign Language at Virginia Commonwealth University and the University of Salamanca, Spain. Rabbi Misha is in the house! Collaborating with Rabbi Zach to offer our BKS students insights and explorations into their Jewish identities, through open discussions, song, dance during our weekly Mini Mitzvah. Rabbi Misha also guides and teaches us through performance and discussion at Kabbalat Shabbat and other shul events. Rabbi Niles Goldstein is excited to be the next spiritual leader of Congregation Beth Shalom of Napa Valley. Rabbi Goldstein, an experienced and dynamic Reform rabbi and educator, is also the award-winning author or editor of ten books, including Gonzo Judaism and God at the Edge. He was the founding rabbi of The New Shul, an innovative and independent synagogue in Manhattan's Greenwich Village, which he served for over a decade. Prior to his arrival at CBS Napa, Rabbi Goldstein worked in a variety of congregational, interfaith and academic settings while based in his native Chicago. Ali Shrago-Spechler is an interdisciplinary artist, curator, and educator from Hollywood, Florida and the recipient of this year's Naomi Anolic Emergent Artist Award. Through painting, performance, and installation, her work explores the tradition and ritual of religion, nationalism, and bureaucracy and the allegiance required to participate. She founded A Whole New Megillah, an annual Purim party series that incorporates her paintings, interactive sculptures and musical collaborations into an adapted Megillah reading performance and was featured in Time Out New York Magazine. Ali Shrago-Spechler received her BFA in Painting and Art History from Pratt Institute and her MFA in Fine Arts from the School of Visual Arts in 2016. She has taught lectures, workshops, classes, and camps at various institutions in South Florida and NYC, including the Brooklyn Museum, Brooklyn Children's Museum, and the Children's Museum of the Arts. Ali lives and works in Brooklyn, NY and is so excited to be a part of The New Shul family. Jean came to The New Shul with background in studio management for photographers, most notably for New Shul member Marty Umans! Prior to that, she worked as a theatrical costume designer and stylist for photography, television commercials and films. Arnan Raz is a music educator, Hebrew teacher and a Jazz musician. Originally from Merhavia Kibbutz, Israel. Arnan holds a degree in Music Performance from The Jerusalem Academy of Music and Dance. Arnan has been teaching Saxophone and Music in several schools around Israel such as Boyer School (Jerusalem), the prestigious MATAT camp of music and many others. In New York, Arnan is also a music and Hebrew teacher at the Sephardic community center in Brooklyn. In addition, he is a Jazz performer that preforms his own music, along with many different musicians. Eran was born and raised in Kfar-Saba, Israel, and in 2012 moved to New York City to complete his studies at the "New School for Jazz and Contemporary Music". After graduating with excellency from the prestigious "Thelma Yellin High School for the Arts" (Givataim/Israel) in 2009, Eran served 3 years in the Israeli Defense Force as an "Excellent Musician", a status awarded to him by the Israeli Ministry of Education. Throughout his career he has collaborated with artists such as Jimmy Cobb, Mulgrew Miller, Sam Yahel, Yaron Gershovsky, Hollywood Anderson, Israeli mainstream artists Shlomo Gronich and Marina Maximilian Blumin, and many more. Also, he was one of the three guitarists (from all over the world) chosen to participate at the 2014 "Betty Carter Jazz Ahead" artist residency program at the Kennedy Center, Washington D.C, and has performed in festivals and venues in NYC as well as worldwide. In May 2014 Eran graduated with honors from the New School, and is currently working as a full time performer, educator, master class specialist, band leader and recording artist.